Your recipe looks amazing & all the positive comments are great! Before I make this though, I would like to know if I could eliminate all of the sugar? Or is it necessary for the bread to bake properly? Thanks for your reply! am making this bread as i speak. it is now at it’s first rise. Very easy and convenient recipe with ingredients most have on hand all the time. thank you for the recipe. I have been in amish country/PA and had their home cooked/baked goods. Unbelievable and quite easy to prepare their foods. Obviously, they are very limited in what/how to prepare dishes. Thanks! Yep their food is amazing. The bread turned out wonderful! Unfortunately, I let it rise for too long and when I let the bread cool, it didn’t bake all the way, but it was CLOSE! So just some things that I have to pay attention to but I think we found our new loaf of bread to make! LOVE it! Thanks for sharing it! I have made this bread many times. I have made it the good old fashioned way, with my kitchenaid, and with the bread machine. There is no going wrong. This is such an amazing bread. My husband, who is not a bread eater loves it when I make this bread recipe. I have looked for a really good recipe for years and I finally found “the one” and there’s no going back! Thank you for sharing! 🙂 thanks for letting me know! 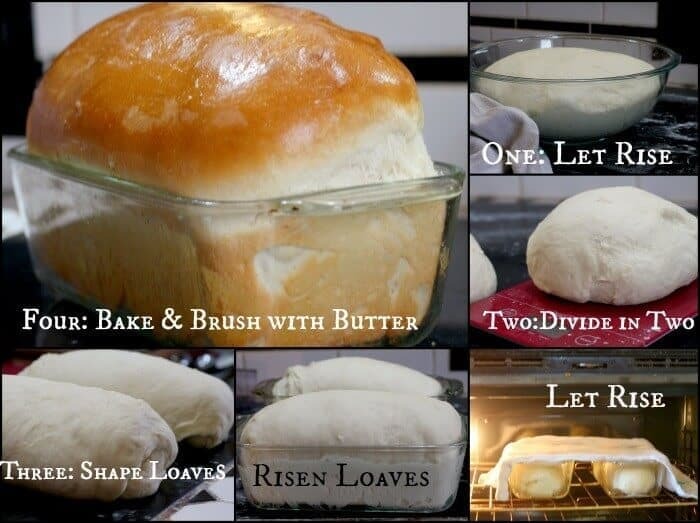 This looks just like the bread my mom used to bake when I was a kid! I used to love it warm spread with jam. Thanks for the recipe! Sure! Thanks for stopping by! anyone try this with almond milk instead of cows milk? or coconut sugar instead of white? just curious if it would work the same. ? Can you use the same recipe for min loaf pans? How do you adjust time for rolls instead of loaves? Rolls usually cook about 15 minutes. The first rising will be the same but the second rising will probably only be about 30 minutes. Hope this helps. They love the rolls. The bread makes good grilled cheese sandwiches, too. Thank you for sharing this fabulous recipe! I halfed the recipe and chaged the flour to white Vitaspelt bread flour! It turned out so winderful and tasted divine! I will try baking it in my new Bread machine next time thanks again! God bless! Thank you for sharing this awesome bread recioe! I made half the recipe and made one loaf. i used white spelt bread flour instead of whole wheat and it rose very high and the bread is so soft and delicious! My husband said it was the best homemade bread he has ever eaten! Thanks again! God bless! I’ve been making a version of this bread for a good 10 years. The original recipe I found for it called for using all water (2 cups). I grew up in a family of bread makers who taught me that milk in bread makes for a softer crumb….who am I to argue with tradition? I subbed 1 c. milk for 1 c. water in the recipe and never looked back….I loved how it came out. When I need a quick couple loaves of bread that I know won’t fail me, or a nice pan of rolls to serve with dinner…or even a pan of cinnamon rolls-this is the recipe I pull out and make. It’s never failed me. Everyone that tries it loves it. 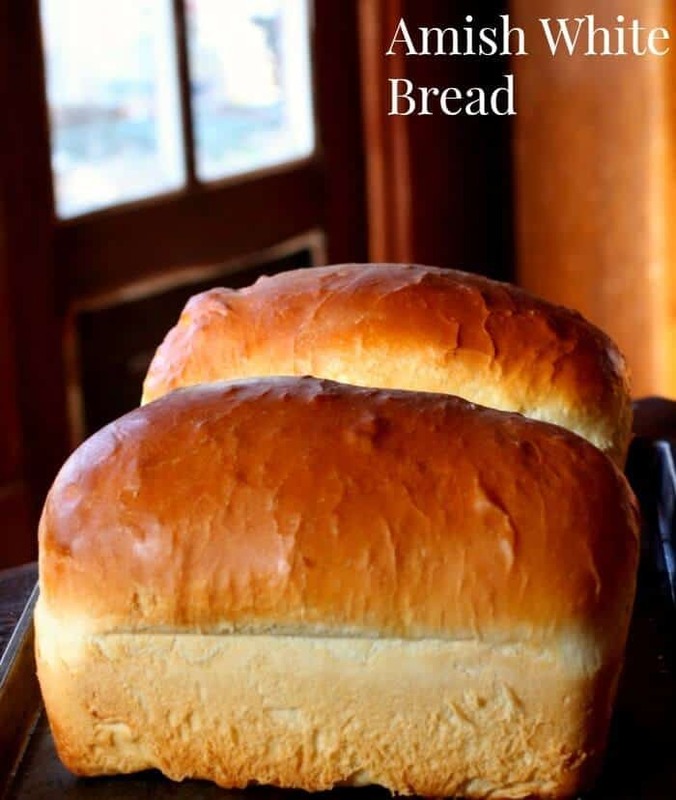 I cut the amount of sugar in half when making dinner rolls and bread for sandwiches-my husband prefers a not-so-sweet bread for those….the bread comes out fantastic. Made two loaf’s yesterday. Woke up today to just a chunk left. A cute note on a posted nite ! More please!! Guess I make another batch today! Hello, I havent had time to read through all the comments so this question may have already been asked. If I dont have whole milk can I use 2% instead? Or will it affect the recipe? Tried this recipe and it came out great! However, I do have a question – if I were to double the recipe, should I double the amount of yeast used? No. There should be plenty of yeast for a double batch. Saying that… I usually do add a little extra when i double recipes. It helps them rise more quickly. There’s an Amish store near me that sells the BEST bread! After being diagnosed with a gluten allergy I started buying their GF bread and it’s just a good! I may try your recipe and sub in a gf all purpose flour. Fingers crossed! That’s awesome! Hey, let me know how it works, please Lauren? I am always looking for a great white bread recipe. I pinned this! Mostly I eat baguettes, sourdough or some other kind of “special” bread. But there are days when good old fashioned white bread is all that will satisfy. And your version looks spectacular. Yep. I prefer those breads usually but you have to have the soft white kind for good ole- p,b&j! I’m a sucker for Hawaiian rolls, so you had me at “sweet bread”. This sounds delicious! This looks like the perfect sandwich bread, indeed! Certainly a must-try! This bread is delicious for any time! I’ve read a lot about using bread makers and no one that has tried it. I haven’t made this …..YET, but will. As most bread makers are single loaves and can only accommodate 3-4 cups flour max you may have to halve the recipe. Hope this helps. how do I halva it? Divide all of the measurements by 2. So if the recipe calls for 1 cup you’ll use 1/2. If it calls for 1/2 cup you’ll use 1/4 and so on. 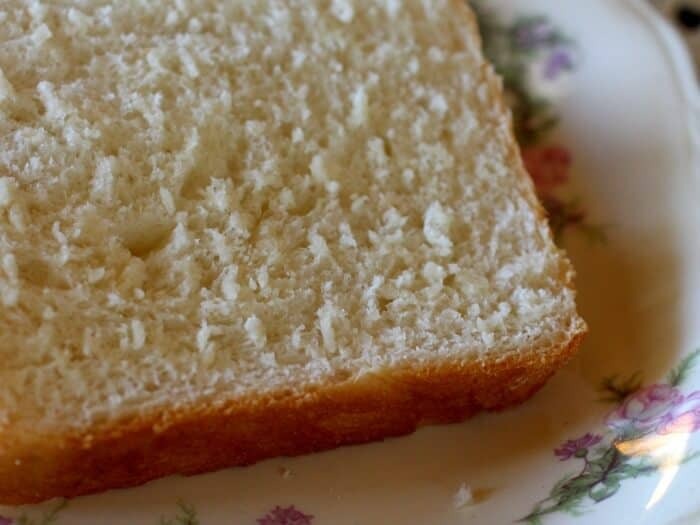 I always love finding good bread recipes and this Amish white bread looks incredible! I love how fluffy it looks. There’s nothing like home-baked bread! This one looks delicious! Wow, this bread looks absolutely terrific! I agree, I think coconut oil in this would be awesome. Such perfect looking bread! fresh bread is the best – you had me at sweet and velvety! Nothing better than fresh, homemade bread! I have a bread machine and use to always make bread… thanks for the reminder to pull it out of the closet!